The name of this chair couldn't be more fitting! When you have time free from the demands of work, want to rest, enjoy hobbies or sports, or just sit around the campfire, the Alps Mountaineering Leisure Chair is going to be a comfortable place for you to escape to. The included should carry bag makes this chair compact and easy to bring with you to all of your events. The name of this chair couldn&apos;t be more fitting! When you have time free from the demands of work, want to rest, enjoy hobbies or sports, or just sit around the campfire, the Alps Mountaineering Leisure Chair is going to be a comfortable place for you to escape to. The included should carry bag makes this chair compact and easy to bring with you to all of your events. 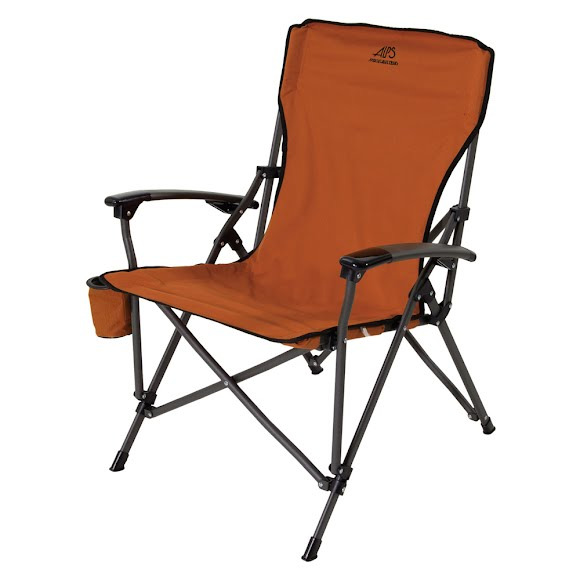 The Leisure Chair has a sturdy powder coated steel frame and can hold up to 300 pounds. 7" x 45" Carry Bag Included! Measurements 27" x 16" x 38"